The first major is upon us and it’s a market that will pull in many millions in bets and trades on Betfair. 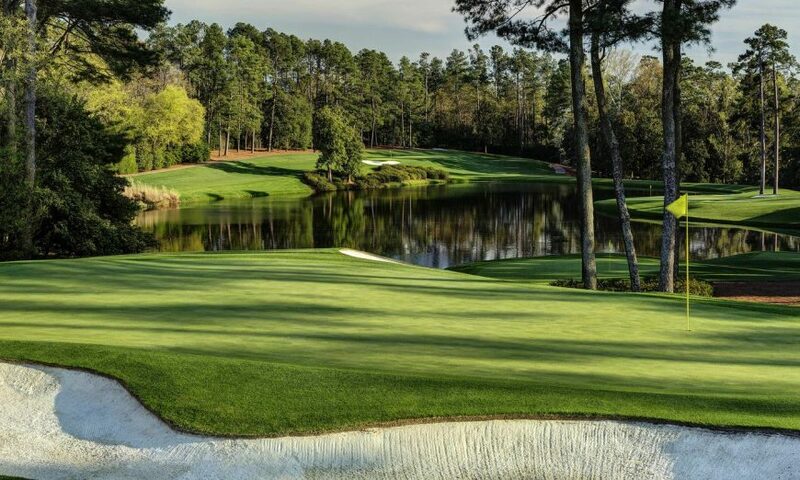 We have reached that time of the year when we can watch the finely manicured lawns of the US Masters golf tournament. It’s a huge Betfair trading market which I’ve enjoyed for many years, but of course, the big question is how to win something! Golf is a curious market for me and not something you would expect from somebody whose predominant focus are horse races! You also will gues that, as far as betting markets go, Golf isn’t as popular as other traditional sports betting markets. However, when I joined betting exchanges way back in June 2000 is was one of the first markets I tackled. It was simply because it often seemed mispriced to me and when I started sports trading, that was what I was looking for. I don’t extensive work now on Golf betting markets and while I could do them more often by adding in a range of PGA tour events to my mix. I tend to focus on the Majors. 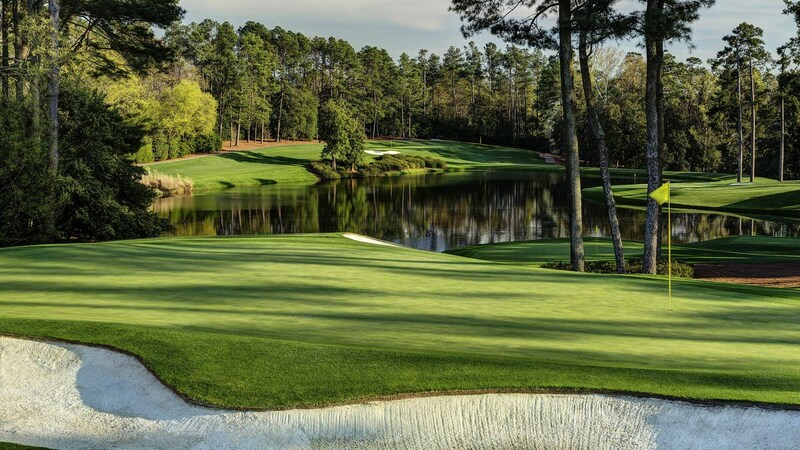 The first of which is the US Masters. I like the US Masters. This is mainly because it’s the only major played on the same course each year. This means you can collect a ton of stats on how the course plays and form your strategies around that. It gives me a good guide as to when to trade in and out of a position. You can do this on most courses, but because the Masters is at the same location every year it is much more predictable. The masters tournament is a bit different from something like the US Open or the Open Golf. For starters it is invitiational, meaning that you can’t be guaranteed the right the play there, like an open championship. So you get a right mixture or players. You could have a seasoned professional, such as Phil Mickelson or Tiger Woods, paired with an amateur player. Past masters champions can come back and play, so Sandy Lyle, Fred Couples and others turn up for a leisurely stroll. It’s perfectly possible for a breakthrough player like PGA Tour’s Tommy Fleetwood, to get matched up with a former legend. This sort of thing can only happen at the Masters as you only qualify for Open championships on merit. There are some quaint traditions as well. The champions dinner sees last years winner nominate what food is served at the following year’s dinner. At first tee, there is the tradition of previous champions teeing off. Jack Nicklaus or any combination of previous legends get the whole thing started, but age often means that as far as they go. But it’s sort of fun to see new and old. I prefer US majors to be honest, as the start times are much more UK friendly. The Masters routinely has more matched bet volume than other tournaments and sometimes similar amounts to the British Open. Based on prior years I’m expecting volume to be in the £8m range. In 2012 it was just £4m for some reason, but that seems to be anomalous and the average has been around £7m at first tee on average. It’s interesting to note that volume has a double peak before the off at the Masters. The night before the tournament volume increases steadily till around 10pm UK time, before dwindling to tiny amounts in the early hours. Next morning, the action starts to pick up at 6am and builds steadily to peak for a second time just before the first tee off time. So if you are looking to get a position on, those are the best times. Prices tend to be pretty static. If you are a golf player, when you step up to the first tee you will already know which are the hardest and easiest holes thanks to the stroke index. When trading, knowing the hardest holes isn’t sufficient, you need to know what impact each hole is likely to have on the score. Augusta gives us this chance. Laying shorter priced players ahead of a trickier part of the course or backing bigger prices approaching easier holes can be a good strategy. Order of play can influence this. If one player has just passed through a trickier section without dropping a shot and is followed by a rival. A lay is a good bet on the chasing player. Any dropped shot or the potential for one will send their price out. The most likely hole to drop a shot on is the 11th, but variance to par, one of my main metrics, means that a dropped shot is quite likely to occur in bunches. The most expensive three holes on the course are holes 10-12 where on average there is a nearly a 28% chance of dropping a shot. Players tend to pick up shots on the par fives so holes 13-15 are where players are more likely to do that. There is an average 40% chance you will pick up a shot on these holes. Players are most likely to eagle the 13th, but two holes later is another chance. The last three holes are testing and dropped shots are likely here. Watch the video to learn how thinking like this during a Golf tournament, can produce a really spectacular golf trade. One in seven tournaments the first-day leader sees out the whole tournament. But that doesn’t sound as bad if you say the opposite, which is that 86% of the time they won’t. But, of course, some of this is down to how much they lead by in each round. 90% of eventual winners are at least five shots within the leader after day one. This is similar on day two but weighted towards the top of that group and at the end of day three if you are within three of the lead that’s where 86% of the eventual winners come from. Only four of 80 winners I looked at were six shots or more behind on the final day. In 2014 Rory McIlroy was sent off favourite at [11.5] but had slipped to [110.0] by the cut. Eventual winner and former green jacket holder Bubba Watson was three shots in the lead and trading at only [3.0] by the cut. McIlroy went from [36.0] to [7.0] in 2011 before losing and just [3.55] from an SP of [8.0] in 2012. In 2013 he was sent off at [15.5] and reached [6.2]. Jordan Speith was on fire in 2015 and couldn’t be caught, in 2016 he traded as low as [1.09] before shooting a seven on the tricky 12th hole to hand the Masters to Danny Willett. 2017 was notable for a huge battle for the title that ended in a playoff between Garcia and Rose. Their prices flip-flopped alternatively as one of them headed for the title. The last two years have been great markets. There is no such thing as a perfect trade, but in 2017 we came close. Jordan Spieth opened the day three under for the tournament and had a good front nine. That left him seven under on the turn. Holes 10-12 are quite likely to see a dropped shot so the focus on whether he could avoid that. Danny Willett was already through the same section and was having a fine round. So far he had moved from par for the tournament at the open to two under after finishing at hole 12. Holes 13 to 15 presented opportunities to pick up shots and close in on the leader. Spieth was trading at 1.09 for the tournament but dropped a shot at the 10 and 11. Nerves kicked in on 12 where he ended up in the water twice and then the bunker for a seven on the tricky par three. Suddenly Willett was in the lead just had to try and not drop a shot or two on the final three. With confidence high, he gained one. It took just 33 minutes for Spieth to go from [1.09] to losing by three shots. That’s golf for you! Some of how the Golf plays out depends on the weather, which we don’t know for sure just yet. If it’s consistent then stick with the leaders later in the tournament. If it’s not, then start laying them. A lead of a few shots will get more valuable with each hole played. It’s best to stick with opposing players who have a slender lead to lose on a harder part of the course. Always bear in mind the tougher and easier holes and you will put yourself in a good position to trade out for a profit. It’s tricky to just pick off one or two selections. So use Bet Angel’s dutching or dobbing tool to capture value on a bunch of them. You will only need one or two of those to have a good round for their price to shorten dramatically and put you into profit. This tends to make sense on the first and second days, but focusing on the leaders in the final two days is where you will find opportunities.